AMD has been sharing important information in an investor presentation, including a roadmap for its upcoming processors. Next in line for release is the 2nd Gen Ryzen Pro Mobile, followed by the 3rd Gen Ryzen desktop processors. Making a surprise appearance at the end of the 2019 roadmap is the 3rd Gen Ryzen Threadripper CPU. There’s been considerable excitement about AMD’s upcoming CPUs based on Zen 2 microarchitecture for a while now. 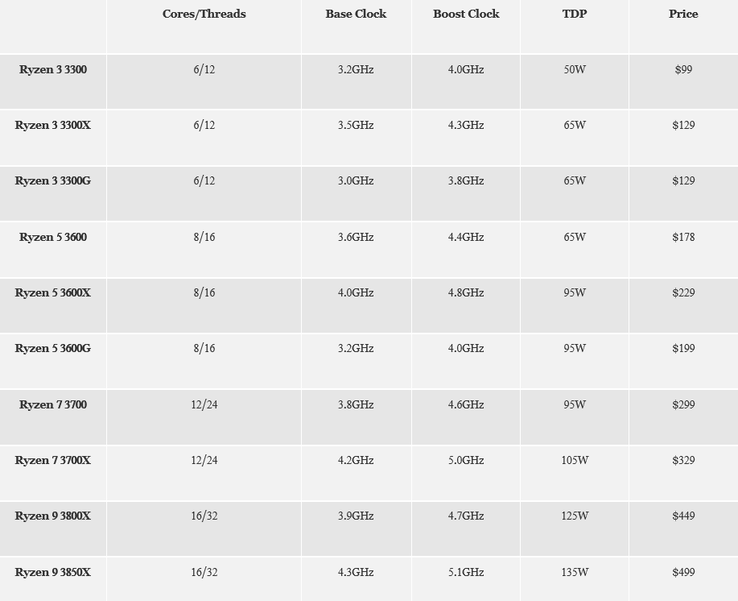 A recent leak of supposed names and prices for Ryzen 3000-series processors garnered a lot of attention, and it seems the red team has decided to offer more details about its upcoming products. The roadmap in the investor presentation (PDF) states 2nd Gen Ryzen Pro Mobile chips will start appearing in “spring”, which depending on what part of the world you reside in, would be within a couple of weeks. The tidbit of information in regard to the launch date for the 3rd Gen Ryzen desktop processors is likely to help settle various rumors about the eagerly awaited CPUs. The timeframe of “mid-year” is still somewhat vague, but it could be reasonable to presume June or July. The rumored top-end chip of the 3000 series, the Ryzen 9 3850X, is expected to come with 16 cores and 32 threads, and it could wield clocks from 4.3 GHz (base) to 5.1 GHz (boost). As Forbes points out, this is a considerable improvement over what the powerful 2nd Gen Ryzen 7 2700X can offer. 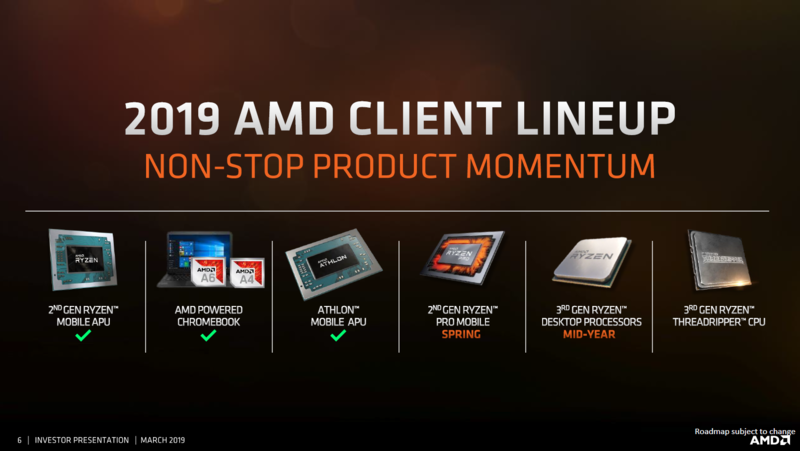 The final product shown on the roadmap is the next generation of high-end desktop (HEDT) processors from AMD: The 3rd Gen Ryzen Threadripper CPU. No season/month/timeframe is offered for this component, but there will be many PC users satisfied with the knowledge that a 7 nm Zen 2 Threadripper processor could be taking pride of place in their machines by the end of 2019. As for potential core count: A 3rd Gen Threadripper with 48 cores is expected…and even one with 64 cores might eventually be unveiled by AMD.